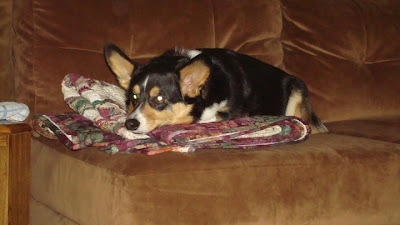 I am a two-year-old welsh corgi. I eat poop. All kinds of poop. I love it. Deer poop, cat poop, skunk poop, my poop. If my mom and dad let me I'm pretty sure I'd eat baby poop. I roll in deer pee and stink up to high heaven. Mom and Dad yell at me when they catch me on my back flailing in the grass. But I don't listen. I continue to squirm and roll in the pee until its delicious scent seeps down to my skin. After I've eaten poop and taken my pee bath I like to come and lay on your lap and give you kisses. I try to get my kisses directly on your lips or, even better, I try to get them inside the mouth.